The Rwanda Society for Endoscopy (RSE) is a national non-Governmental Organization .It is governed by the present constitution and subjects to the provisions of Law no 04/2012 of February 17th concerning national non-governmental organization. RSE is composed of Founder members, full members, affiliated members, Associate members and honorary members. Founder members are the signatories of the present constitution. Full members are qualified people, who are engaged to contributing to the realization of its objectives and are recognized by the General Assembly, and who, upon written request and having subscribed to the present constitution, are agreed by the General Assembly. Affiliated members are experts in endoscopy originating from foreign similar organization, upon request of membership have been granted. The Honorary members are individuals or legal entities to whom the General Assembly will have awarded this title in recognition of special and significant services offered to the improvement of the Society. Honorary members are proposed by the Executive Committee and approved by the General Assembly. The Head Office of the Organization (RSE) is located in Nyarugenge District, in Kigali City, Rwanda. 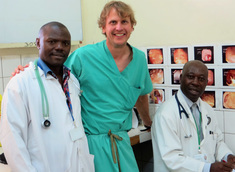 To promote the endoscopy practice and techniques in Rwanda. Develop collaboration and solidarity links with other national and international societies pursuing similar aims. 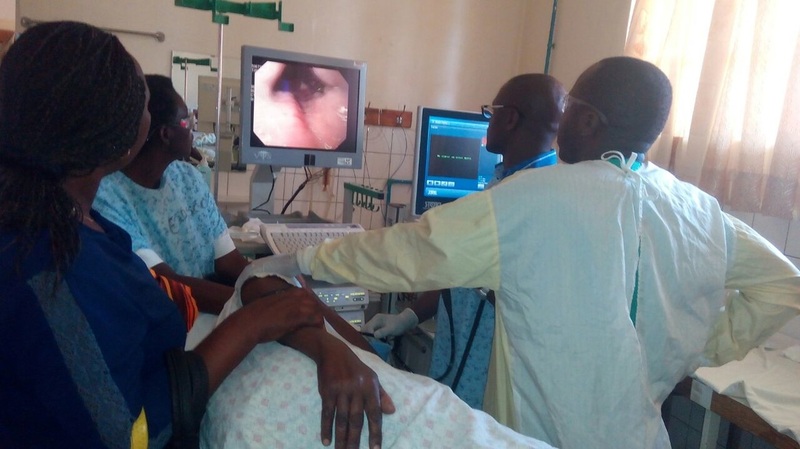 To mobilize funds and equipment of material and reliable endoscopy practice in Rwanda. ​Participate in elaboration and implementation of core curriculum of gastroenterology fellowship training program in Rwanda. The RSE is interested in improving means and conditions of taking care of patients with conditions requiring endoscopy. ﻿The RSE emphasizes the creation of source of information, continuing training training of practicing doctors in all around Rwanda. 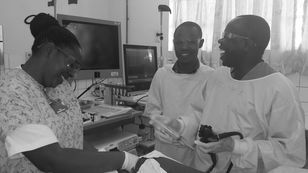 The RSE seeks to establish the exchange of experience of endoscopist doctors locally and internationally.